We intend to be the first company with an approved T-cell receptor therapy to treat solid cancer tumors. As we build a fully integrated cell therapy company, we will own each step of the development, manufacturing, and commercialization of our SPEAR T-cell therapies. Vectors are viruses, which are changed in the laboratory and cannot cause disease, used to integrate genes into cells. Vector manufacturing is one of the key capabilities required for us to establish a fully-integrated manufacturing process. In a November 2017 article, the New York Times covered the fact that the biotechnology industry is struggling to supply enough vector. We are in a good position, through our existing manufacturing partnerships, having vector supply into 2019. 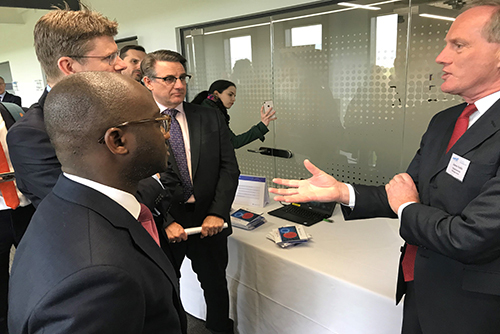 The agreement with Cell and Gene Therapy (CGT) Catapult, will enable us to have our own dedicated vector manufacturing space in the UK. It will ensure further vector supply for our studies with all three SPEAR T-cell therapies, ADP-A2M10 (MAGE-A10), ADP-A2M4 (MAGE-A4) and ADP-A2AFP (AFP), including pivotal trials that we are planning to start from 2019 onwards. 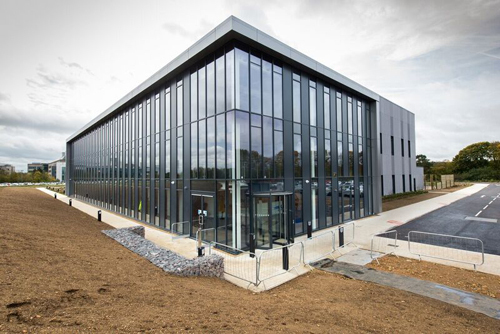 Adaptimmune started occupying its offices at CGT Catapult in March 2018, and more recently took official occupancy of the GMP clean room on Monday 16th April. We will use our own novel vector manufacturing process and be responsible for operation and staffing of the manufacturing suite with vector production expected to commence in 2019. Many of the current vector manufacturing processes used across the cell and gene therapy industry are based around adherent cell culture of the packaging cells that produce the vector. Adherent cell cultures can be more challenging to scale-up to the vector levels required to support pivotal trials and beyond. Adaptimmune intends to utilise a novel vector platform process based on suspension culture of the packaging cells. This will produce for more patients from each production lot of vector, enabling scale up to meet demands for larger patient trials and commercialisation.